Sharing of the awareness of our bodies from real life situations with permissions. In the food, sometimes it may contain a great amount of salt or sugar. My husband, Jeroen has been used to food that is either too salty or too sweet. Whereas, I’m raised the other way round, where no salt or sugar is added to home-cooked food but natural ingredients. We are like two opposite ends. As we know that the taste buds recognise the four basic tastes such as sweet, salt, bitter and sour. 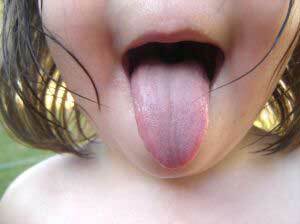 Taste buds can be readjusted and cells for each basic taste can be restimulated. Why do I say that? Jeroen was not able to tell whether the food is too salty or too sweet. His taste buds were immuned, ‘numbed’ and 'desensitised'. Ever since we got married, he found my cooking very blend. However, I explained that too much of salt and sugar in the diet will eventually do more harm to the body in the long run. Slowly, throughout the years, I help him by reducing the salt amount in the food. He eventually got used to less salt and sugar and gradually over the 5 years, he cut down and sometimes not even add any salt. Recently, he shared that his taste buds have changed. He can immediately tell whether the food is salty. He can even slowly sense the different ingredients in the food which he could not do so in the past. He always told me the food tasted the same whereas now, he is able to differentiate them. When I heard it, I was amazed, how the cells in the sensory organs of the taste buds can be reactivated and become sensitive again. Now he will not even take food that contains too much salt and sugar. His taste buds will inform him that it is too much. It just reminds me of a baby when they have the first taste of food, they can tell immediately what they need, what they taste and what their body wants. I read it in Aware Parenting, Aware Baby, by Aletha Solter, how our body has and are born with our own natural self-regulation. Even though we may have lost it as an adult, there is still hope and possibility to develop the awareness and have the self-regulation again. Isn't that good news? Part 2 will be shared in the next round on Body awareness of another person.